After a few of years simply admiring it from afar, I finally got to attend the Children and Nature Network’s annual international conference, held this past spring in my home town of St. Paul. The event proved rewarding in many ways, among them simply rubbing shoulders with folks—from all corners of the U.S. as well as 18 other countries—who, I believe, hold the future of mankind’s shaky relationship with Nature in their hands. Another benefit of the show for me was being able to talk with attendees about my own modest efforts to promote the Children and Nature Movement—indeed, the People and Nature Movement—through my writing and blogging. 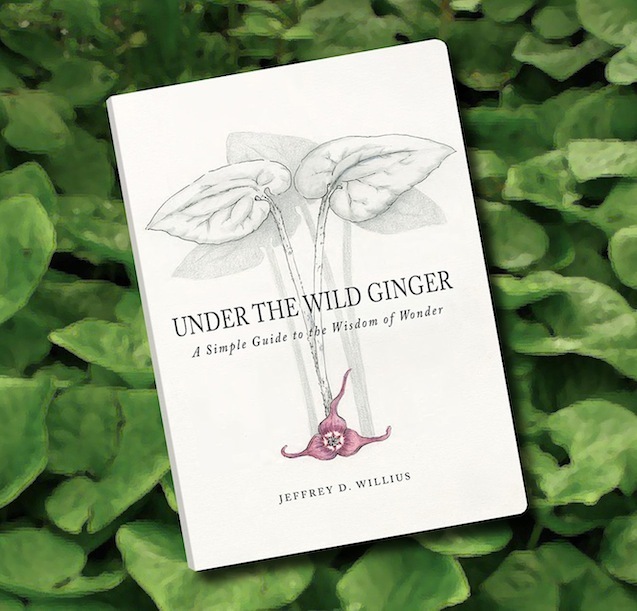 I was allotted a table to display my first book, Under the Wild Ginger – A Simple Guide to the Wisdom of Wonder. The response—albeit from a decidedly like-minded audience—was amazing; I’d made my best guess as to how many copies of UWG to bring, and then, just to be on the safe side, tripled that number. I sold them all. Even more gratifying were the kudos I got from people who’d already read my book and said they’d been hoping to meet me in person. going on under that green, leafy roof. Among my customers was a young man from China. Before buying a copy of UWG, he asked me two of the more thoughtful questions folks have asked about my book: Why did you write it? And what is the meaning of the title? By answering his second question, I answered the first. One spring evening years ago, I was walking around my neighborhood. Along the edge of one my neighbor’s yards was a patch of wild ginger, a handsome ground-cover plant whose broad, roughly heart-shaped leaves formed a solid canopy about six inches above the ground. For some reason, I wondered what was going on under that green, leafy roof. So I knelt on the sidewalk, bent over and carefully spread the leaves. 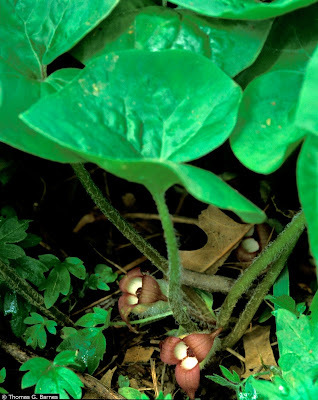 There in the cool dark bower below, nestled at the base of each cluster of stems, lay a voluptuous little three-lobed, burgundy, orchid-like flower, as beguiling as something imagined in a fairy tale. I stood up, brushed off my knees and resumed my walk, my head now pulsing with just one idea: I’ll bet I have at least a hundred experiences just like this one where, simply by changing the way I looked at something, I discovered another of Nature’s countless small wonders. In fact, I’d already written about some of them. I shared a couple of those jottings with my friend Charlie. 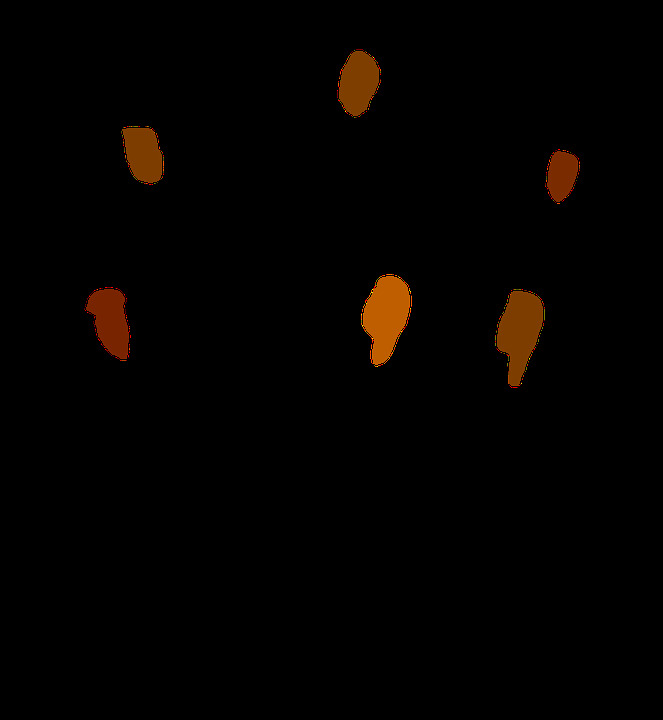 He said that if I had enough of them it might make a good book. And with that began a series of serendipitous events which ultimately led to my book getting written, noticed and published by a small New Hampshire publisher. the people who need it most. Though UWG has enjoyed only modest commercial success, I’ve been deeply moved by the ways people have told me they’ve embraced and used it: as part of their daily spiritual devotion; as a guide to experiencing Nature with children; as a book club read; as a theme for church leadership retreats and even sermons. Getting back to my new Chinese friend’s questions, though I’d never been asked why I wrote my book, I have been asked for whom I wrote it. The answer has changed. At first, I thought it was going to be for children. Then, as all the pieces started coming together, I realized it sounded more like a book for adults—perhaps adults with children. Among my dilemmas was the fact that, no matter my intended audience, the kind of folks who were showing up at my launch events and readings, the kind commenting at my blog, the kind following me on Facebook and Twitter, were pretty much all the same. I was preaching to the choir. At the urging of one of my writing coaches—my dear wife, Sally—I’ve continued wrestling with how to broaden my audience, eventually realizing that, to be perfectly honest, I have neither the skills, the tools nor the contacts to get the book into the hands of the people who need it most. 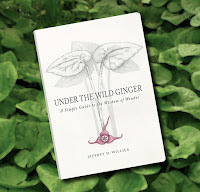 So that’s why I’m offering Under the Wild Ginger, free of charge, to any non-profit organization that can use it more effectively than I can to help bring new blood into the Rediscovering Nature movement. They can use it in programming to instruct and inspire, as an ice-breaker with new audiences, or as a thank-you gift to new members, donors or staff. If you represent such an organization—or know someone who does—please e-mail me—jeff@willius.com—and tell me about the organization and whom to contact. Many thanks, and may you always walk in ways of wonder! Jeff, that is a brilliant and so very generous thing to do! I think the book will get folks to look beyond the surface or at least look for the smaller, less obvious things in the world. I am someone who looks at everything when I walk so I am right there with you. I am so glad you got to go to the conference and be with the folks who are trying to teach appreciation for Nature, and therefore are contributing (hopefully) to the preservation of wild areas and maybe even not so wild areas. THanks, Jean. 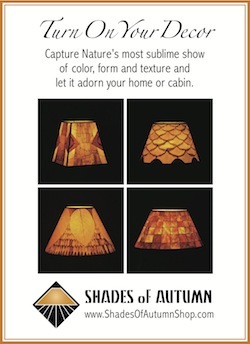 Can you think of anyone around the Charlottesville area who runs a Nature program and who might be able to incorporate my book into their teaching? Or use it as an incentive to new members or donors? Many thanks Jennifer. Please put on your thinking cap and see if you can think of anyone in your area who might take me up on my offer. Gracias. BTW, have you been posting any reflections of your Mexico trip? Are you home yet?